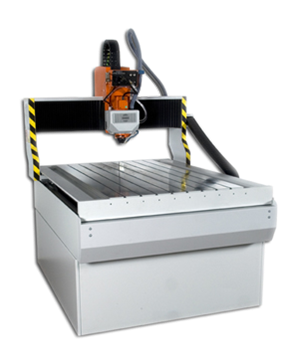 The numerical control work bench Epsilon 80 x 125 by Cielle, is a system for cutting and milling for all semi-hard materials: wood, marble, plastic and aluminium. This instrument is particularly suited for 3D modeling even in large surfaces. The considerable vertical movement of the spindle makes it suitable for processing bulk materials, while maintaining the stereometric precision required. The milling machine uses the Gibbs CAM system that allows to perform contouring, drilling, tapping, boring and milling of pockets with an unlimited number of islands. It also creates artistic tests and engravings, works multiple and sinuous surfaces and solid models, fully reconstructing the three-dimensional CAD model.